The intelligent solution for panorama photography! 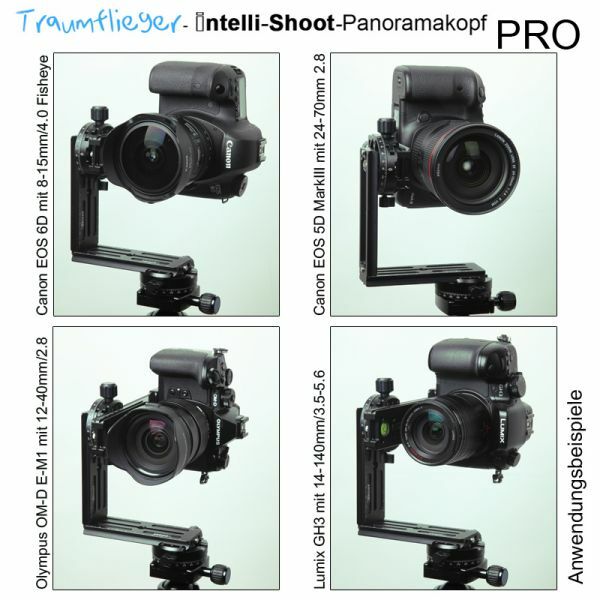 The Traumflieger Intelli-Shoot Panorama-Head Pro can be used for 360° panoramas, spherical and multi-row panoramas. Though a real lightweight, the head scores with high quality elements and an extrem good stability. Included in the delivery of the Traumflieger Intelli-Shoot pano head is a quick release system. All parts are arca compatible. 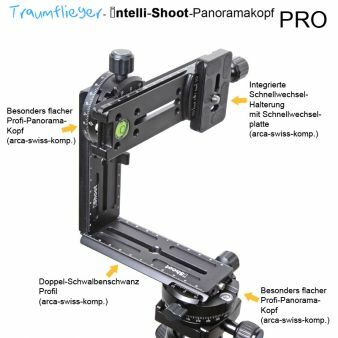 Compared to the Traumflieger Intelli-Shoot pano-head the pro-version distinguishes by its lower weight, without a loss in loading capacity. For some lenses it could be necessary to remove the stopper screw of the vertical arm. 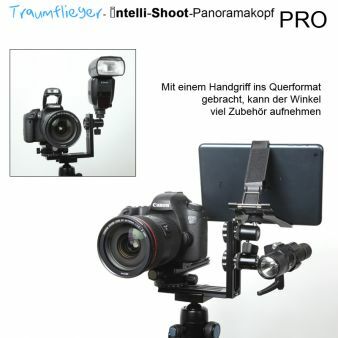 For lenses with a longer body you can change the vertical arm against the camera plate 19cm. 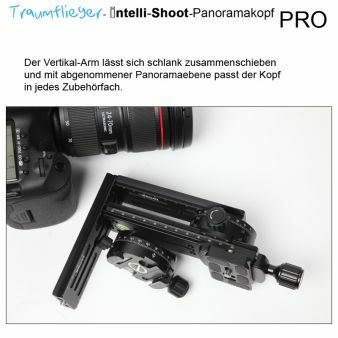 For further informations concerning the required length of the vertical arm for different lenses have a look at the list here! Because all plates are dovetail rails the bracket can easily be changed from vertical to horizontal format. This way the bracket can be used for attaching camera accessories. 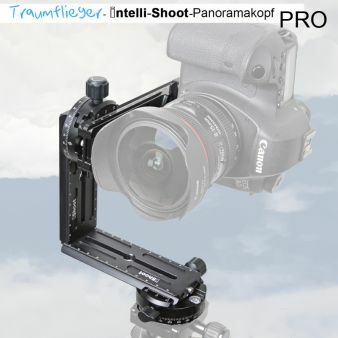 This Product was added to our catalogue on Thursday 15 May, 2014.